The abrasive wheels training course gives a sound practical knowledge for anyone involved in the checking, dressing or replacement of wheels. The abrasive wheels training course has been designed and structured to comply with the legal requirements of the Provision and Use of Work Equipment Regulations 1998 (PUWER 98) and the Health and Safety Executives publication ‘Safety in the Use of Abrasive Wheels’ (HSG17). The abrasive wheels course teaches safety in the use of abrasive wheels and provide delegates with the knowledge and ability to cut or grind safely. 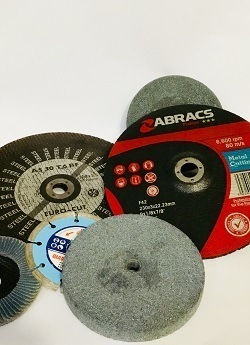 The abrasive wheel training course is held at our bespoke training centres or on your site at a time and date to suit you. Who are Abrasive Wheel Training Courses for? This course is aimed at persons working with Abrasive Wheels. How long does the Abrasive Wheel Training Course last? Our Abrasive Wheels Training Course is a half day course.